Bartending is not as easy as it looks. It’s like being a chef. Tasha Lu, the Brand Ambassador for Hendrick's Gin and also a seasoned bartender says, "Everyone can cook food but not everyone can cook good food so, everyone can make a drink but not everyone can make good drinks." Tasha shares some tips that get you up your game in making lips smacking cocktails. To make sure that you always make good drinks, you need to get the freshest produce you can find. That means not buying lime juice but squeezing it fresh. You need to know your tools, techniques and the reasons why you use those combinations for your drinks. For example, egg white and lime juice are going to expel each other, so in order to mix them up, you need to dry shake them. This will multiply the ingredients as you force the two ingredients together. That means using premium products. The fresher the ingredients and the more premium the spirits you are using, the better your drinks are going to be. This is not only about the presentation of your drinks but also as a professional bartender. The customers are buying not only what you make but also you, a person who is the seller of the drinks. They pay for the product you made, your company and the customer service you give. Therefore this whole package that you are selling needs to be believable and confident. As a bartender, you need to be genuine to be believable. Learn techniques from mixology, gastronomy and other science stuff. Get more training to increase knowledge. This will help you grow in your career and also in confidence. This is especially important as to add pride in what you do. Learn also how to work with your teammates, that way you can help each other during difficult situations. Here are some recipes that will not only make you look so good serving to your customers, they actually taste pretty awesome and friendly to prepare even in a busy bar. Bitter and very boozy type of drink, it is like a digestive or aperitif, you can either drink it before or after you eat or all night as a party drink. It is served in a short glass with a big block of ice. The ice takes time to dilute which means you get to enjoy it longer. Or you can just smash it. 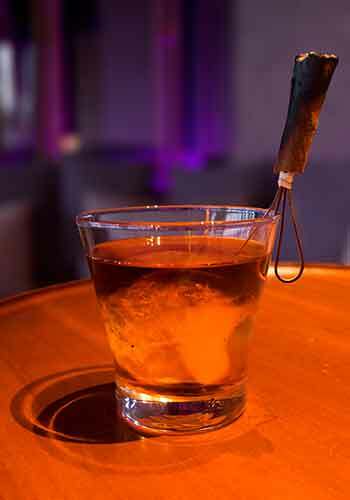 Add all ingredients into a mixing glass with ice, stir and strain into a rock glass with an ice block. Garnish light a lightly toasted cinnamon stick. 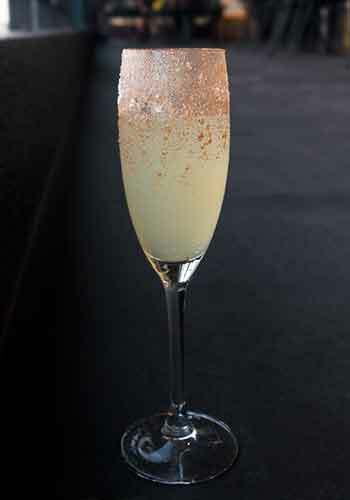 A classic gin champagne cocktail. This is a twist which instead of using normal sugar syrup, I’m using spiced pear syrup. I would normally use poached pear syrup but that’s a bit complicated to make. This one is easier to replicate and you can even make it at home. Use pear nectar or pear juice, cut it with spices which are nutmeg and cinnamon. Top up with champagne or just use sparkling wine which lowers the cost. Coat a flute with mixed spice sugar. Shake all the ingredients except sparkling wine then double strain into a flute. Top with sparkling wine and serve. Good for summer and it is easy to make. It can be served in various ways, either as an original drink or top it up with soda or even make into a punch or serve in a jug. Shake all ingredients and double strain into a coupe. 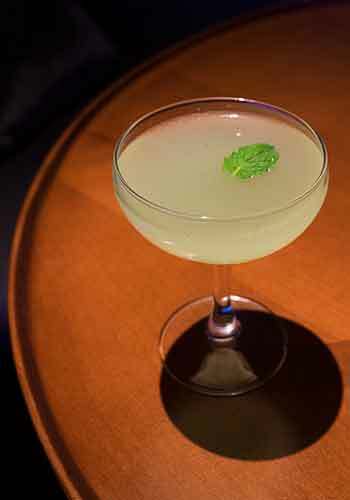 Garnish with cucumber and rose, or simply a mint leaf.